Family caregivers play a critical role in the wellbeing of their loved ones. Caregivers’ ability to find, understand, and use health information influences efficacy of care. This is often referred to as caregiver health literacy. Health information can be incredibly overwhelming. The ability to find, understand, and use health information influences efficacy of care. This is often referred to as health literacy. As a family caregiver, health literacy involves a set of actions and decisions that impact care and finances. For example, evaluating mom’s insurance plan might require calculations (i.e. premiums, copays, and deductibles) based on providers and prescriptions and given a new diabetes diagnosis. In the maze of the healthcare system, it is easy to feel overwhelmed. 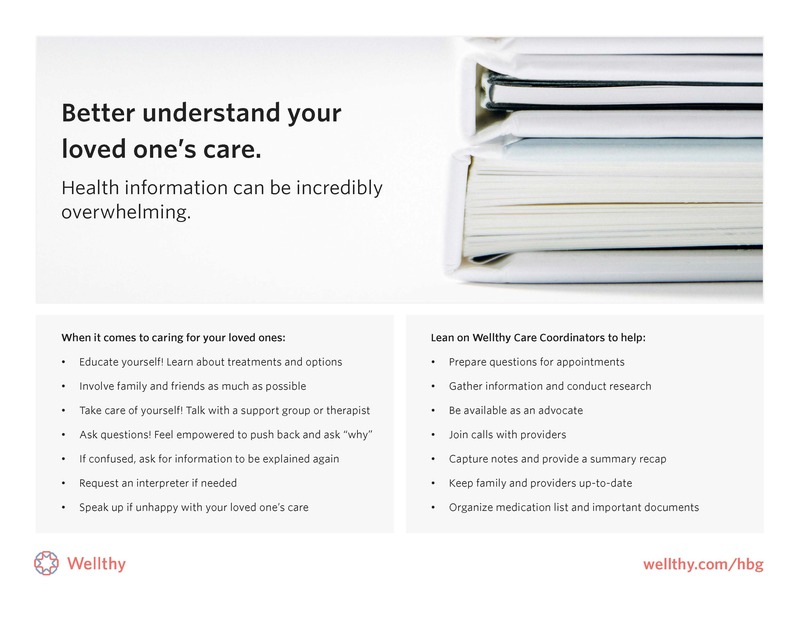 From gathering information to prepping questions for appointments, Wellthy is here to help. As a reminder, in partnership with HBG, your employer covers the cost of Wellthy for you and your family. Get started with a Wellthy Care Coordinator at wellthy.com/hbg.